Motor control resistors used to control the speed and torque of an AC and DC motors or limit the inrush current to an acceptable level. Resisturk™ Motor control resistors are manufactured in accordance with the requirements of the customers at all voltage and current levels in various applications. 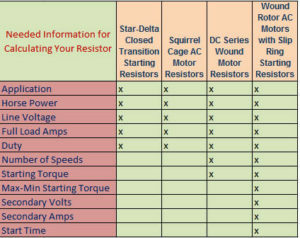 It is enough to send us an email to make an Motor Control resistor calculation and to get technical information. Resisturk™ team will be honored to help you with all your special project needs. Painted – Epoxy based electrostatic powder painted.